Dropbox Business helps the children‘s charity maximise donations by making it easy for employees and partners to access fundraising materials whenever and wherever they need them. 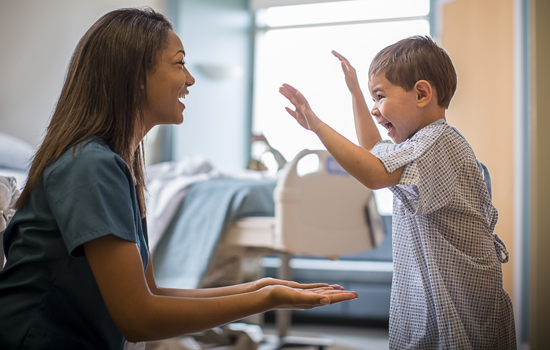 Every second, a child enters one of the 170 Children’s Miracle Network Hospitals across the US and Canada. Since its founding in 1983, the non-profit’s support for children’s hospitals has been nothing short of miraculous, raising over $5 billion via efforts such as telethons, celebrity appeals and donation boxes at supermarket checkouts. To maintain focus on helping children in need, the charity realised that it needed to upgrade the ways its employees stored and shared work, such as the large videos and other files containing the stories of the children it was trying to help. “There were logistical complexities when someone was on the road, and they tried to access the server through our VPN but a connection was not made” says Senior Vice President of Information Services, Tony Rehmer. After looking at different cloud storage options, Children’s Miracle Network Hospitals decided on Dropbox Business when it learned that 75% of its employees were already using personal Dropbox accounts. “How information technology teams work nowadays is really based on what your employees want” explains Nick Ward, Vice President of Digital Marketing.